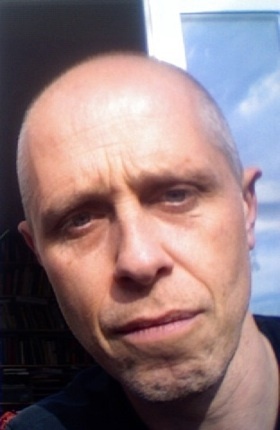 Paul Obermayer (born 1964) is an improviser and composer living in London. He studied maths at University College London and acoustics at South Bank Polytechnic. He has mostly made (live) electronic music - primarily in the electronic performance duo FURT with Richard Barrett, and in the improvising trio BARK! with Rex Casswell (electric guitar) and Phillip Marks (percussion) - as well as occasional notated instrumental pieces. His piano piece "coil", played by Philip Thomas, has recently been released on CD by Bruce's Fingers. Since 2004 he has been a regular member of Evan Parker's Electro-Acoustic Ensemble. He has also performed keyboard/sampler solo as well as with Mick Beck, Adam Bohman, Crow, Karlheinz Essl, Harry Gilonis, Alan Tomlinson, Michael Vatcher and members of the London Jazz Composers Orchestra, among others. He is a co-director of the London-based ensemble RESERVOIR, and has taken part in RESERVOIR performances of pieces by Globokar, Nono, Saariaho, Stockhausen, Varèse and Xenakis. From 1993 to 1996 he was a regular contributor to The Institution of Rot - a permanent art installation in London conceived by installation/performance artist Richard Crow - working on sound installations, and producing the soundtrack for a "documentary" film. He has also collaborated on another short film, with computer-animator Andrew Greaves and composer Ian Willcock, and presented a new multimedia project with Crow in London in 2004.